For many B2B manufacturers, marketing is continuing to prove a bit of a sore spot – more specifically, content marketing. Whether because they struggle to know how to create meaningful content, or because they've had bad experiences in the past, manufacturers are often letting marketing fall by the wayside. However, in today's climate, this is not advisable. Manufacturers exist in an increasingly competitive landscape: the Fourth Industrial Revolution is rearing its head, there is growing demand for mass customisation, and customers demand shorter and shorter lead times. To survive and thrive, organisations must reach out effectively to the people that matter most to their business. Content marketing allows manufacturers to engage meaningfully with their potential customers - but that's of little use if they struggle to implement it. That's where an agile approach can help. According to research published by the Content Marketing Institute (CMI) in February 2016, 81 per cent of B2B manufacturing marketers say they use content marketing – however, just 18 per cent say their organisations are effective at doing so, down from 26 per cent in 2015. So, what's the problem? That's too big a question to resolve in this post, but one answer might be that B2B manufacturers focus too much on their products when they undertake content marketing, instead of thinking more deeply about what their customers want. This isn't an indictment of manufacturers; rather, it is indicative of the nature of the industry, which is necessarily focused on production. Harvard Business School professor Theodore Levitt famously said: "People don't want to buy a quarter-inch drill. They want a quarter-inch hole." His point was that successful marketing is dependent on tuning into your customers' needs and motivations, rather than extolling the virtues of your products or services. 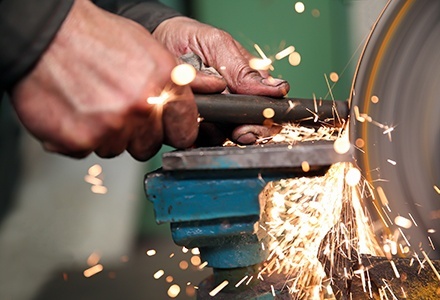 Adopting an agile approach can help B2B manufacturers to achieve this successfully – but how? Agile manufacturing centres around fast response rates – adapting to customers' needs in a fluid way, to maintain a competitive edge. Through processes, tools and training, manufacturers can respond quickly to changes in customer demand, without compromising on quality or cost. But what does this have to do with content marketing? Well, B2B manufacturers can adopt a similar approach, to boost their marketing efforts. An agile approach can help you to understand what your customers want – and to create content accordingly. Dechay Watts, co-founder of inbound marketing agency SPROUT Content, says: "Manufacturing companies are no strangers to using agile for their manufacturing processes. Constant iterations and product adjustments let manufacturers test quickly, see what works and eliminate what doesn’t work, so they continually learn as they create instead of investing months or years on something that doesn’t meet customer needs. "[…] While agile methodologies are customary within the realm of product development for many manufacturers, the marketing departments of these same companies are missing out on the benefits of agile processes." Implementing sprint planning - defined blocks of work (for instance, two-week periods) – will allow you to structure your work and fulfil your content goals. At the end of each sprint, you can review your progress and reassess if things haven't gone to plan. Consider point seven above, for instance - rather than sticking to a defined editorial calendar; you might write a series of blog posts on a handful of chosen topics during a single sprint. You could then analyse their performance, to determine you next series (adjusting your approach and setting new goals as required). Of course, the ultimate point of all this is to create content that aligns with the needs of your customers; content that engages them and brings them closer to your organisation. Dechay Watts says: "With how easy it is to participate in online marketing – from videos to blogging to tweeting– manufacturing companies have a tremendous opportunity to market in a new way through content and inbound marketing tactics. But, manufacturers have to make sure the content being produced is engaging and resonates with the intended audience. The best way to do this is to iterate on what works and move away from what doesn't." By applying an agile approach to content marketing for manufacturing, B2B manufacturers can ensure that high-quality content is created on a regular basis, but that things can be switched up with ease, as and when required. As manufacturers know, as agile approach does not mean simply knee-jerk reacting to changing customer demand, but responding in an intelligent way, with a constant focus on your target audience.